Hiya and welcome to my site; Clipped Wings! This is a site dedicated to the kawaii Japanese anime Cardcaptor Sakura, not its butchered cousin, Cardcaptors. I've seen so many good sites on the Web about this great anime and so I decided to make one of my own. It's a little shabby (this is my 1st site) but don't let that stop you!! If you want to comment on the site, there is a message board on the bottom of the screen for any comments or (gulp!) critisisim! 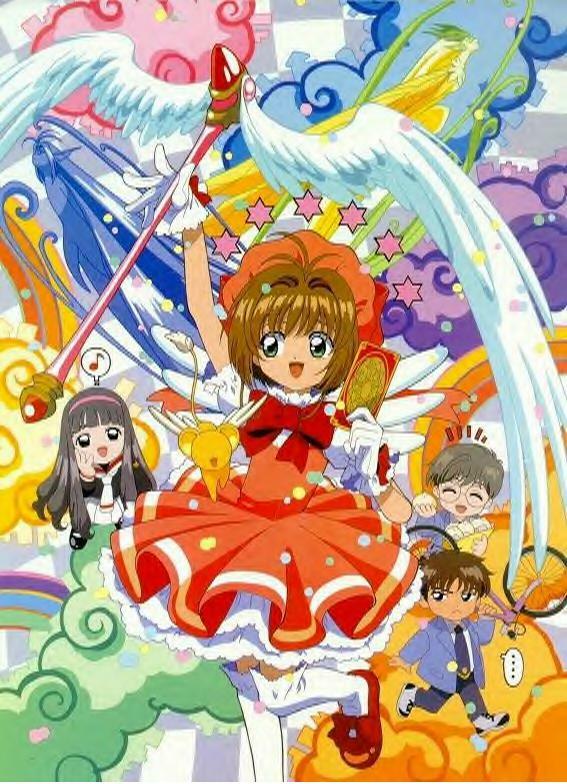 Cardcaptor Sakura is a great anime about a 10 year old girl called Sakura Kinomoto; a fun loving cheerleader who seems perfect but has a terrible fear of ghosts! One day she's alone at home and she hears a noise coming from her basement; she investigates. She stumbles on a book, the Clow Book. Intrigued she opens it, she sees cards, curious, she picks one up and reads, The Windy. Suddenly all the other cards zoom out of the book and out into the world, she is left with The Windy and a mysterious being; who looks like a stuffed toy, but who is infact Keroberos, the guardian beast of the seal. 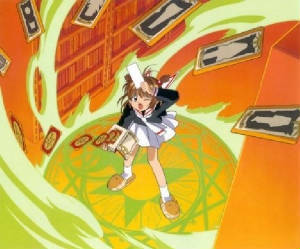 Sakura must become a Cardcaptor and seal all 52 cards before they cause havoc on the world! Okay, the site has been up for a week and it's still missing something . . .but I dont know what! Im working on a forum as we speak so be patient! Here, ye guys can type in comments about the page or about CCS.